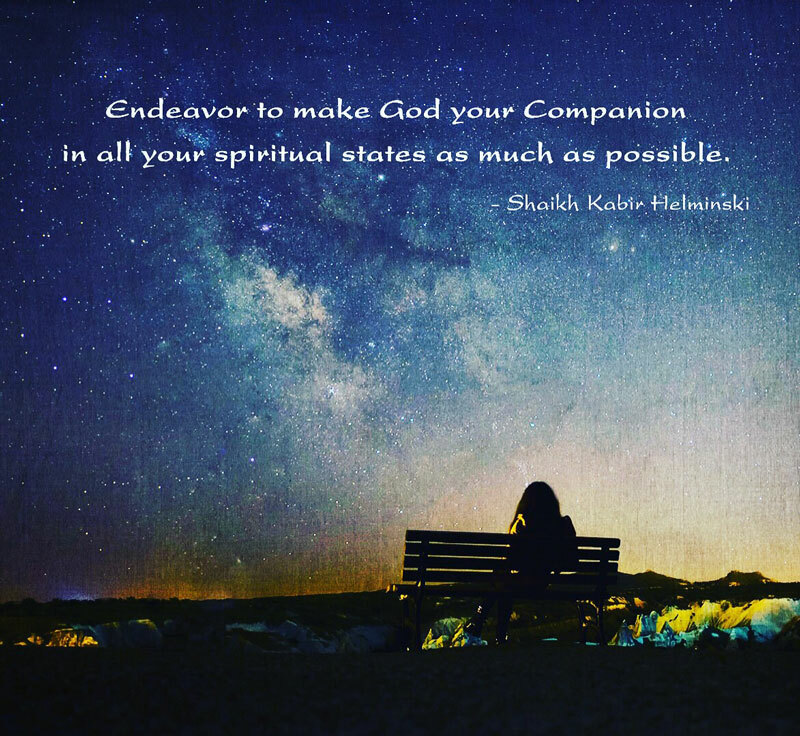 Endeavor to make God your Companion in all your spiritual states as much as possible. The Qur’an says: In His causes you ought to strive. 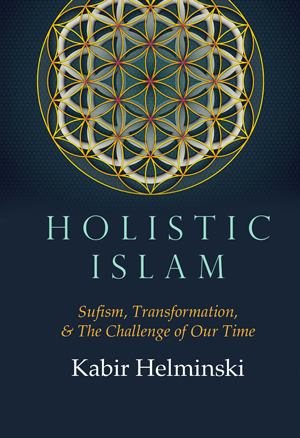 The Arabic word jihada could be translated as “strive.” The real jihada, the real spiritual striving, is reconciling the energy or force from which we gain a new relationship with the struggle between intention and resistance. Ya Karim, O Infinitely Generous One, Ya Habib, O Beloved! 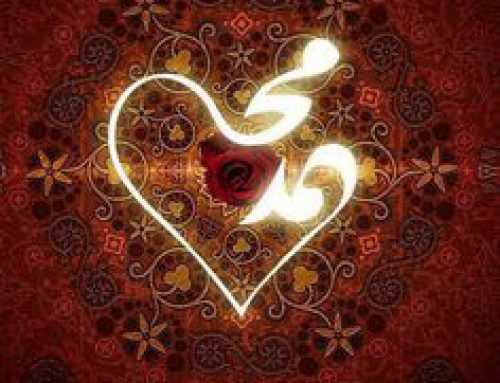 Ya Wasi, O All Encompassing One—Ya Wadud, O Infinitely Loving One! During the month of the birth of our dear and beloved Prophet Mohammed (peace and blessings upon him), it was a beautiful and timely gift to reflect on one of his teachings. He who was mercy to all the worlds. 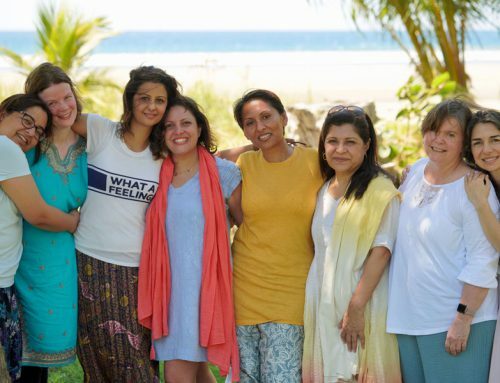 A teaching on how closely we are connected to each other and how, as one body, both our joy and our pain are shared as one. My reflection on this theme has been felt and experienced in so many ways. 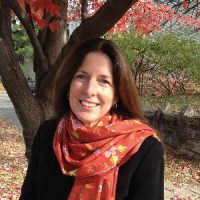 It began by being humbled with the generosity of being on the receiving end of kindness and compassion, followed by gratefulness for the awareness of our shared remembrance and prayers as a community, and how we together form a container that continually supports one another, and finally, through our connections of mutual love, how we are guided to take inspired action to be of service to those in our immediate community and to our community at large. On 1st November, when we received the newsletter, I was on my way to the airport, to Medina to visit the Prophet (PBUH). It had been raining heavily in Riyadh and many of the roads were flooded, and the cars were struggling to get through. As a result, I missed my flight and when I got to the airport I was unable to find a direct flight from Riyadh to Medina. I was able to book a flight to Jeddah, which is a three-and-a-half hour drive to Medina. I prayed that I would somehow find a car service company willing to drive me in the rain. After several attempts of my own to book a car, I called the father of a little boy I was later seeing for therapy in Jeddah and explained to him that I was trying to get to Medina that evening, as it was my last chance before heading back home to London. He called his colleagues and together they worked to help me find a means of transport to Medina. When I arrived in Jeddah the father and his wife kindly met me at the airport. They had made all the necessary arrangements for a car to take me to Medina. They had checked the safety of the car, researched the company and enquired about the driver’s experience. 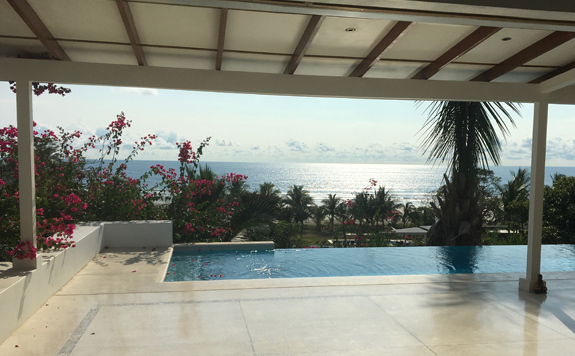 They did everything to make sure that it would be safe for me so that I would arrive that evening. As I made my way to Medina through the desert roads, accompanied by the rhythm of the rain and hail stones, at times a little nervous about the condition of the road, I reflected on how I had so deeply experienced this saying of the Prophet and how this father and his colleagues had helped me as though they were the ones who needed to get to Medina that evening. While journeying to Medina with immense gratitude for Allah’s generosity and “perfect planning” I repeated one of my favourite salutations on the Prophet (PBUH) until we arrived. I recalled that it is our gratitude that opens the doors of kindness and generosity. The next morning, after the dawn congregational prayer in the Prophet’s mosque, the prayer leader announced the congregational prayer for the deceased. It was Friday and the mosque was filled with thousands of men, women and children from all over the world. On hearing the first Allahu Akbar of the funeral prayer, we stood together side-by-side, hearts with hearts, sharing the grief, sadness, and loss for those who have lost their loved ones; followed by prayers imploring Allah’s Mercy and Compassion for those men, women and children who have journeyed to the unseen. I have prayed this prayer many times, but this time the simplicity of the prayer and the all-encompassing compassion within the prayer itself, deeply touched me as I contemplated my own death. The funeral prayer begins with the recitation of the Fatiha, where we ask for guidance and assistance not just for ourselves but for all of humanity. It is followed by the Tashahud, praying for the deceased and their family, and finally praying for all the faithful who have passed on. Although we stand together and are led in congregation, after the silent recitation of the Fatiha and the Tashahud, each person silently supplicates for the deceased. 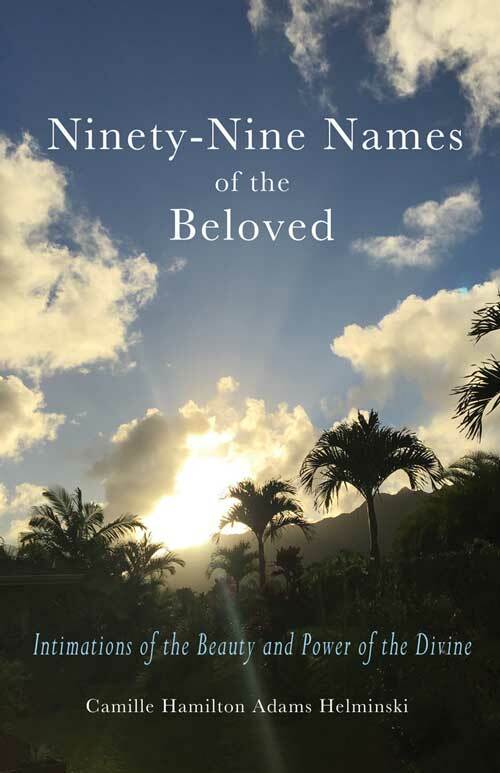 I was struck by the “we-ness” and plurality of the congregational prayer, as well as the individual role of each person praying, as no one person will say the exact same prayer for the deceased. It is this mutual kindness and compassion for one another that compels the congregation to stand to be one, as one heart, and to pray for their fellow brothers and sisters. Before the Friday prayer, as I reflected on a section from the Wird of Imam Al Nawai, I was again reminded of the “we-ness” and that we are constantly reminded to pray for ourselves and others. In the name of God, upon my religion, upon myself, and upon my children. In the name of God, upon my property and upon my family. In the name of God, upon everything my Lord has given me. After the Friday prayer, I made my way back to the airport to catch a flight to Jeddah. As we sat on the plane preparing for take-off, they announced the traveller’s prayer. I looked around me and there were lips moving and hearts shared in prayer, seeking guidance and support for our journey ahead. The lady sitting next to me opened a box of date cookies and before taking one for herself offered one to me. When I arrived in Jeddah I went to the car company I normally use and they had no cars available to take me to Makkah. They suggested a small car company next door. When I went to the car, I smiled. Subhanallah —it was Nour, the same driver who the day before had driven me in the rain to Medina. 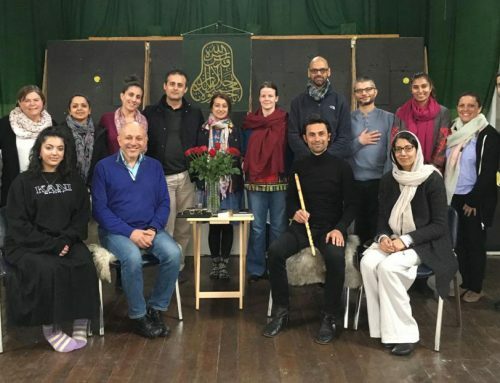 Later during the month, once I was back home in London sitting with friends sharing our sohbet,we together reflected on what it means to be a community. I was reminded of how the human heart in its expansive and constricted states is capable of feeling a spectrum of emotions. It is our shared pain for others that motivates us to pray for them; and it is through our prayers for others that we are often then guided to take inspired action, trusting Allah (SWT) to guide us in our service and efforts. It is through our service for others, and the mutual love that we share, that we become the recipients of gifts. For this reason, in the tradition we thank the person who accepts our charitable offerings, as their acceptance is really a gift for us. 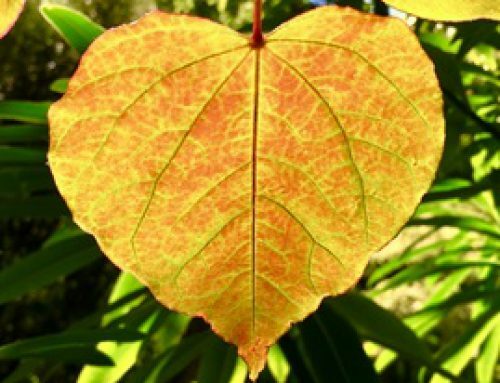 And so, as we sat together in our circle of remembrance, together forming a container, I was reminded yet again that it is that single drop of compassion and kindness that forms all these Love circles, small and large, across and within, all the worlds. ~ Donia has been a nomadic traveler for the past 20 years but is now back home in London. 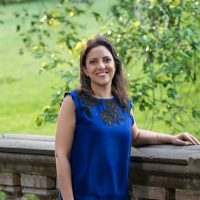 Her passion is in working with individuals with Autism and supporting parents and teachers of young children with special needs, offering them the gift of communication. 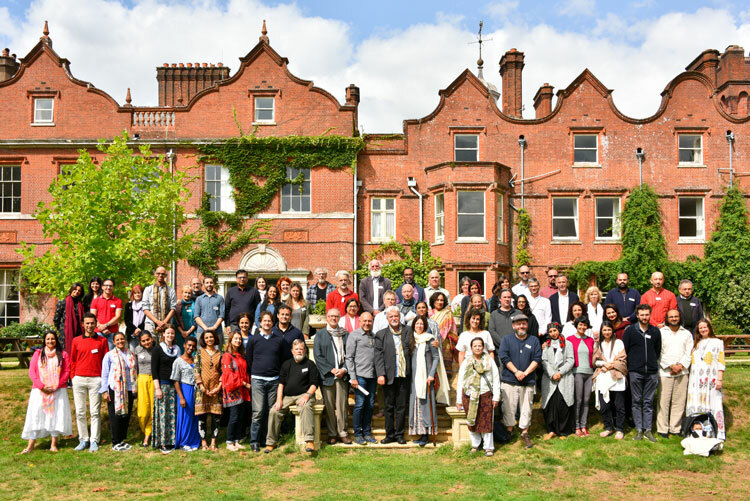 Listen to the audio sessions from the August UK retreat. 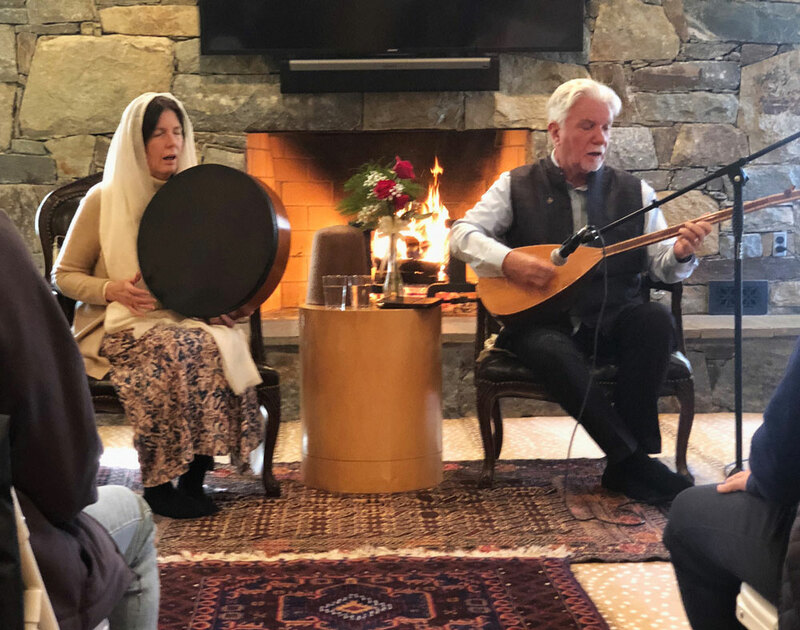 Listen to a sohbet with Shaikha Camille, “Stories of the Tradition” from an interspiritual retreat in Alabama, sharing the Living Tradition of Rumi. 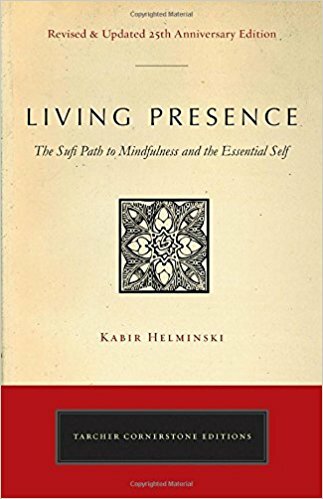 The complete retreat recordings will be available in the new year. 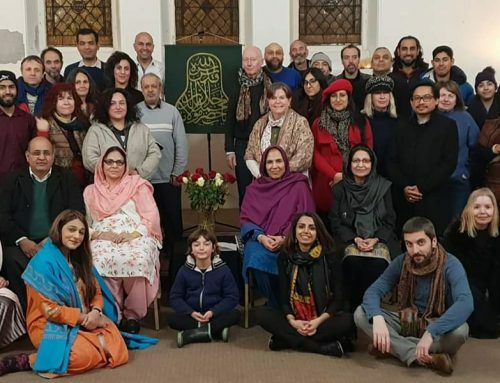 At the beginning of November, the Threshold circle in Islamabad set an intention for a two-day retreat to visit the saints of Lahore. We called it Karavan-e-Ishq, the Caravan of Love. Our love and intention was tested when, after all the travel arrangements were made and we were all set to leave, our plan was scuttled due to news of a call for protest in Lahore. When a wave of disappointment came over us, Shazreh reminded us of Mawlana’s epic one-liner from the Masnavi: “Dealings with the Generous are not difficult.” “The blessings of the Awliya (Friends of Allah) are not limited by space and time, and we can receive them wherever we are as long as we, ourselves, don’t turn away,” she said. 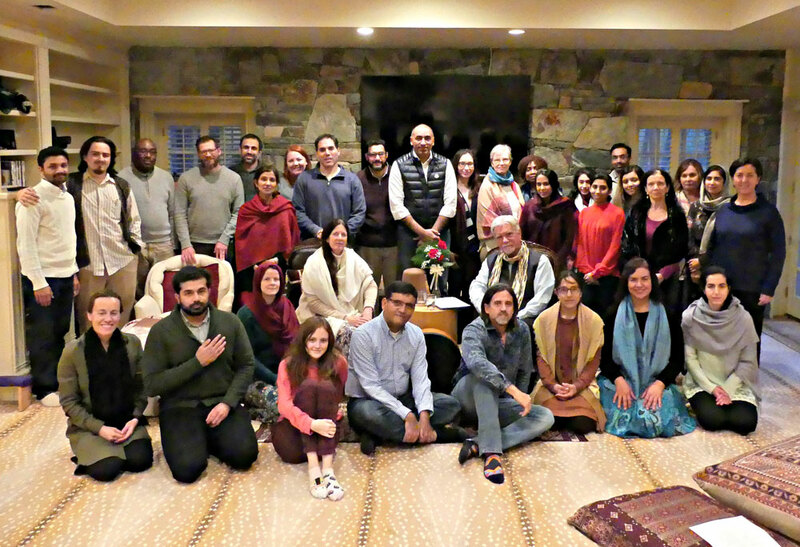 When advice was sought from our teacher, Khadim Chishti, she said: “If you cannot visit the Saints, invite them to visit you.” We decided we would do the retreat in Islamabad. But then, at the last minute, the Lahore retreat magically materialized again. Shortly after offering fajr on Saturday morning, the Karavan-e-Ishq set off for Lahore. We carried all the Threshold circles with us, offering Fatiha on behalf of our beloved teachers and the community at every shrine. A manifestation of God’s light. A guide for the perfected. After visiting this great saint, we visited Hazrat Inayat Shah, the murshid of the famous Punjabi Sufi poet, Bulleh Shah. We offered Fatiha, prayed zohar and asr, meditated and had the blessings of sharing lunch in the beautiful white marble courtyard. We then proceeded to the shrine of Hazrat Turat Murad (ra) set in the famous Lawrence gardens of Lahore. Hazrat Syed Abul Fazl Hassan, a contemporary of our beloved Mawlana, is popularly called Hz. Turat Murad (Prayers Immediately Granted) as it is believed that all prayers are immediately granted here. We had the blessings of offering our maghrib prayers and meditating at his feet. We then left to visit Hazrat Mian Mir (ra), the saint who was invited to lay the foundation of the Golden Temple of the Sikhs by Guru Arjun Dev (ra). Here each one of us was given a chadar (shawl) from the turbe after we had meditated and prayed isha. After dinner, we went to offer our salaam to Hazrat Shah Jamal (ra), a saint who lived in the time of the Mughal Emperor Akbar. Women are usually not allowed right inside the turbe but we were able to enter and reclaim the space. 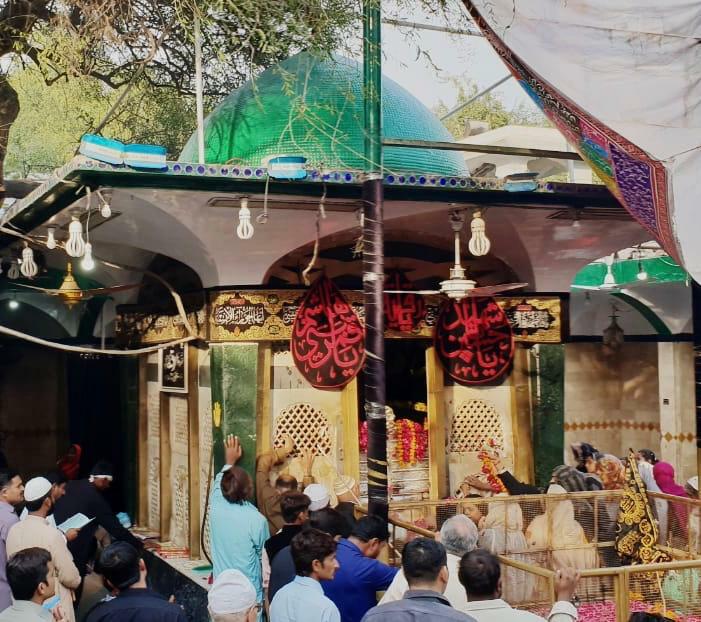 Here the gift of a chadar that had been sent to this shrine from the shrine of Hazrat Data Gunj Baksh brought us full circle to the beginning of our day. We finally checked into our hotel at 11pm. Starting in the early hours of the day, travelling to Lahore and then commuting in almost all directions of the city, instead of getting tired we felt paradoxically energised throughout the day – such were the blessings of these visits. The next morning, immediately after the traditional breakfast of halwa puri, we resumed our visits. 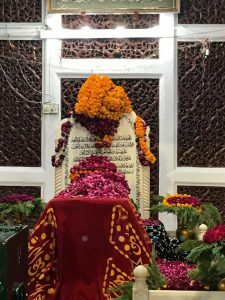 This time starting from the shrine of Hazrat Shah Madhu Lal Hussain, the famous Sufi poet and his close companion Madhu Lal, in whom Shah Hussain contemplated the Divine much as Mawlana did in Hz. Shams. Here once again we were allowed to enter the inner sanctum. Our meditation was followed by the blessing of hearing a live recitation of the saint’s poetry. We also offered Fatiha at the shrine of his sister, Mai Sahiba Sehdoo Ansari, a saint in her own right. 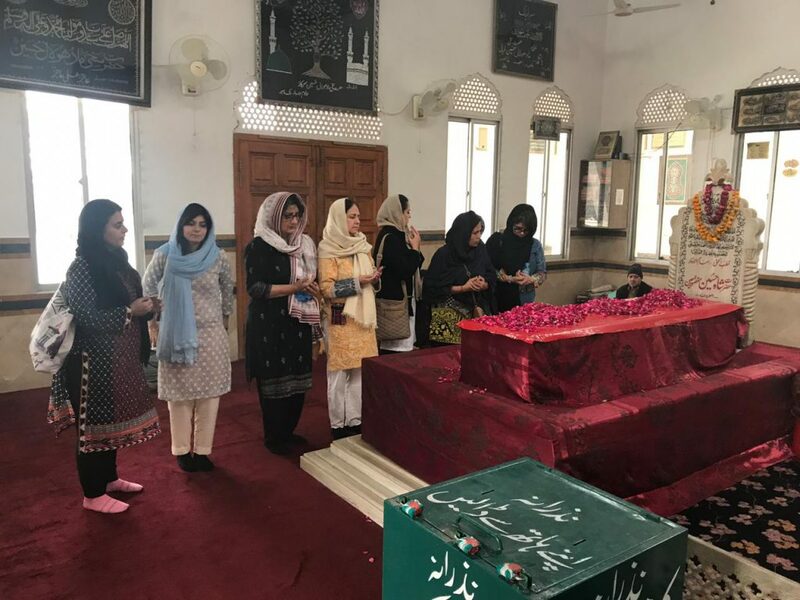 We then proceeded to Hazrat Hassan Din and Hazrat Iqbal, two more contemporary saints whose tomb has been meticulously constructed using the material and techniques of Mughal architecture. We meditated, received prayers and great hospitality from a disciple of Hz Hassan Din’s. Hz Hassan Din was an Irishman who gave up everything and received his spiritual guidance from Hz. Data Ganj Buksh. Hz. Iqbal, his disciple, gave up his job as a professor and took up work as a cleaner in the municipal government. 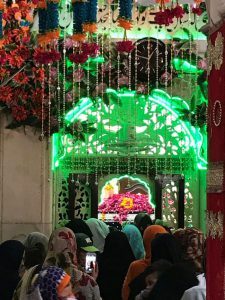 Our journey culminated at the shrine of Bibi Pak Daman, Hazrat Ruqqaiya (ra), the daughter of Hazrat Ali (as) and other ladies of the Ahlul Bayt. Although we had not planned it, our visit to the Awliya was nested in the remembrance of the Ahlul Bayt. As we moved from shrine to shrine, it appeared to be a seamless movement in an ocean of love, light and peace. Back home and busy in our lives again, it will take time to understand, if at all we ever do, whether we left a part of ourselves behind at these holy shrines or we brought a part of them with us. 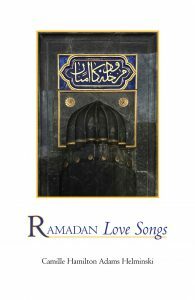 Join Shaikh Kabir, Shaikha Camille, and the Threshold community of Louisville, for an evening of spiritual conversation and community zhikr, honoring the Urs (“Wedding Night” of union with the Beloved) of Mevlana Jalaluddin Rumi. We invite you to celebrate Mevlana Rumi’s Urs, the anniversary of his union with the Beloved. Join us for an evening of zhikr, whirling, and poetry on the theme of Warriors of Love. More details on rumiscircle.com or Facebook. and Sufi musicians Amir & Nasreen Etmenazade. 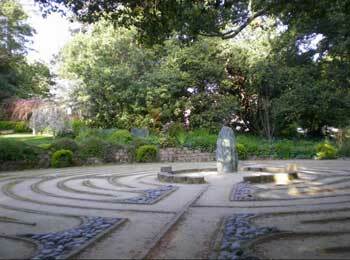 The Mercy Center, Burlingame, California (a few miles from San Francisco Airport). 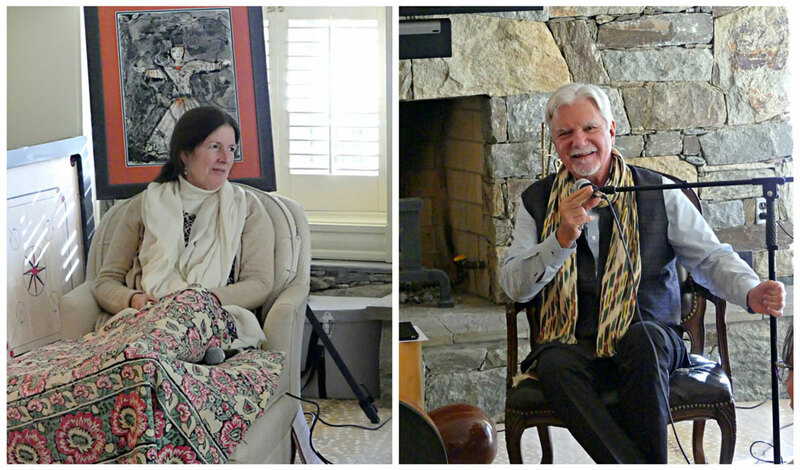 Join us for these days of spiritual practice, music, poetry, conversation, and friendship. To understand the nature and purpose of our human intelligence is vitally important to our fundamental well being and happiness. Every human being carries an inheritance of spiritual intelligence, which is the reflection of Divine Intellect on the human plane. The particular, individualized intellect of each human being is potentially a portal for the streaming of Universal Intellect, the awesome intelligence that nourishes our individual intellect. The Mercy Center requires us to send a list of attendees one month in advance. 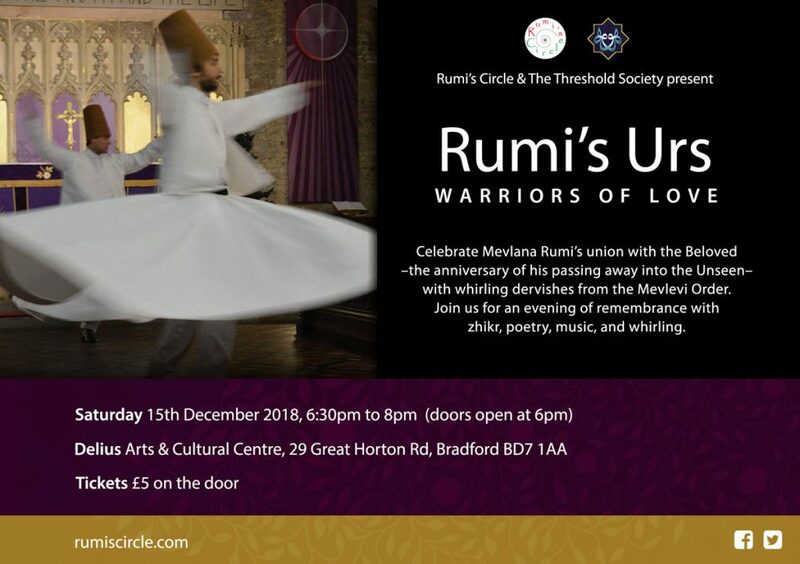 Dec 15: Bradford, UK. 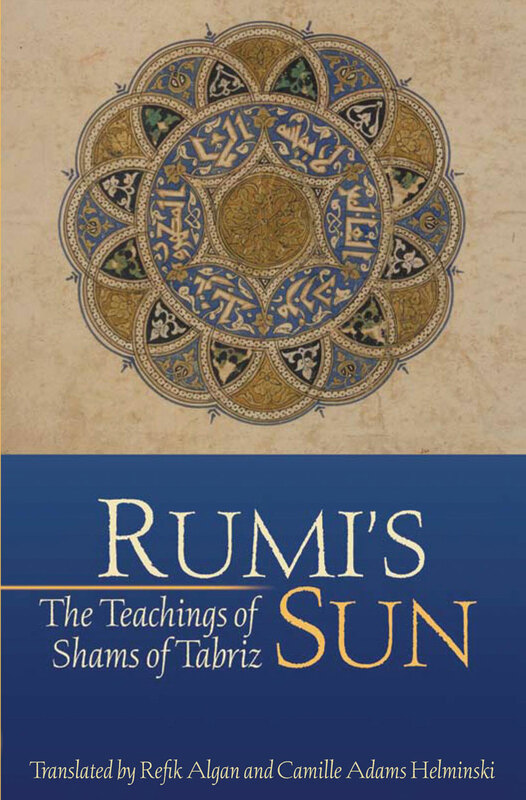 Rumi’s Circle: Rumi’s Urs. More details.